Did the Houston Rockets’ shellacking of the Cleveland Cavaliers this past weekend convince them to enter salary-dumping mode in advance of this year’s trade deadline so they could make a run at LeBron James this summer. Okay, how about this: You decide based off this latest Ryan Anderson tidbit. 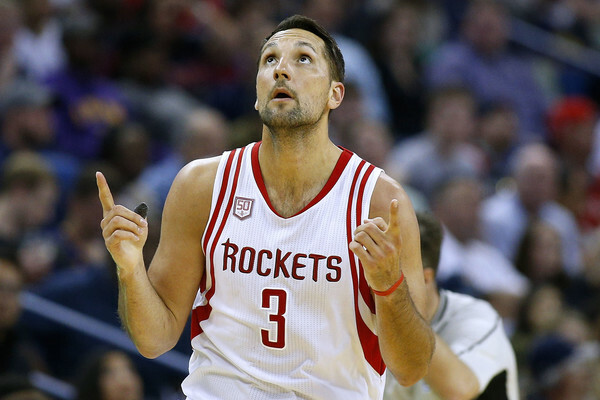 Sources: #Rockets quietly gauging league-wide interest in F Ryan Anderson ahead of Thursday’s deadline. Anderson is in the second year of a 4-year, $80million deal. If you’re getting deja vu, you’re not alone. Anderson has essentially meandered in and out of the rumor mill since he became eligible to be traded last season. And the obstacles now remain the same as they’ve always been: Who wants to pay him? Remove this year’s salary from the equation, and Anderson is owed $41.7 million over the next two years. That’s a lot to pay for someone who amounts to a high-end specialist. Ryno can make defenses pay for not covering him inside 33 feet, but he’s a so-so rebounder who doesn’t provide much help defense. He can survive in one-on-one situations, particularly when playing center, but this contract doesn’t feel like it will age well. Attaching a 2020 first-round pick to Anderson’s deal might get a trade through. At the same time, teams are leery of taking on money. The league is still reeling from 2016’s spending spree. First-round picks probably won’t be tossed around as sweeteners as often until 2019 at the earliest, while cap-rich teams will likewise refuse to rent out their flexibility on the cheap during that time. Of course, we’re most likely getting ahead of ourselves. The Rockets are probably just doing some due diligence at the moment. If they’re serious about getting Anderson’s contract off the ledger, talks will heat up right before the draft, when his 2017-18 salary needn’t be factored into the equation. Bet on him finishing the regular season in Houston.